Debbie Golt, WiM Chair has a weekly radio show on Resonance 104.4 fm / DAB London www.resonancefm.com and interviewed Palestinian singer, composer, musicologist, broadcaster Reem Kelani this week. Reem talks about her new EP 'Why do I love her' and about her relationship with Palestine and how she works with her musicians . Note the views expressed are Reem and Debbie's own. 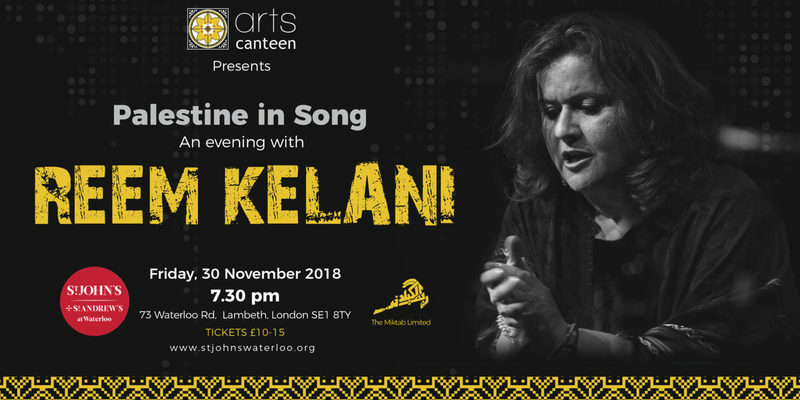 "Arts Canteen proudly presents “Palestine in Song” An evening with Reem Kelani. Reem will be accompanied by masterful UK-based musicians, whom she has introduced to Arabic music: Bruno Heinen on piano, Ryan Trebilcock on double bass and Riccardo Chiaberta on percussion."